Hello everyone, and welcome to X-Labs! We are currently in the midst of USF's 2014 Fall Semester and we are going full force with several awesome projects including IEC Nuclear Fusion, Amateur Radio, Robotic Drum Playing Robots, Electric Skateboards, and much more! X-Labs has a new workspace: USF's new "Design For X" lab is an open makerspace type lab with state of the art tools including multiple 3D printers, Laser cutter, CNC mill, Electronics Workbenches, etc... Check out the Design for X lab here. If you're just looking for the X-Labs meeting, go to the Design for X lab in ENB110 during one of our meeting times! While our names are similar, X-Labs and the Design for X lab are separate. We simply use the Design for X lab. X-Labs is a completely open Engineering Club at USF but new USF student members should make sure to join us on BullSync. This is USF's new club management system. Don't forget to join on Facebook too! Formal meetings take place on Fridays at 4:00p.m. in the ENB110 lab. Anyone is welcome to come out and help us build awesome stuff! The club is completely free, welcomes any major, and is open to people outside USF as well. 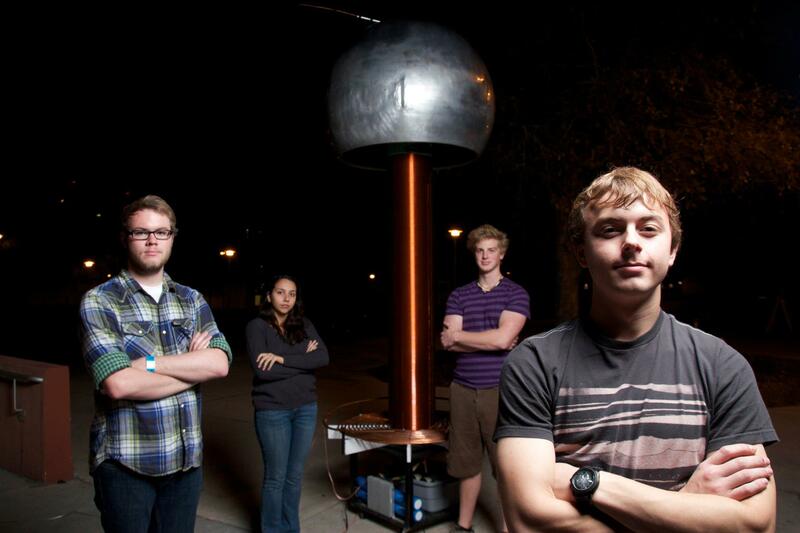 X-Labs is a student run organization at the University of South Florida (USF). We are a hands-on education group with the twofold purpose of inspiring students and providing university engineering students with hands on experience. The concept was recently born from a dedicated and diverse group of engineering students at USF who wanted to not only showcase the University's technical ability, but wanted to show the world that research begins with a creative spirit. We are doing this through large and ambitious projects. A prime example of such a project is our current development of the USF Space program. By launching high altitude balloons to the edge of space we will bring the university to new heights. This project will lay a foundation for future large-scale demonstrations. Stay tuned, big things will come from X-Labs! X-Labs is also an official Hackerspace! The proof is here!